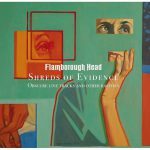 In the 25 years of its existence, Flamborough Head released a demo, six studio albums and one live album. Through the years the band was asked to participate in several projects which resulted in various contributions – sometimes new compositions but also reworked or live versions of songs released earlier on one of our studio albums. Witek Andree of OSKAR asked us to compile a cd containing all these contributions complemented with some unreleased live tracks.